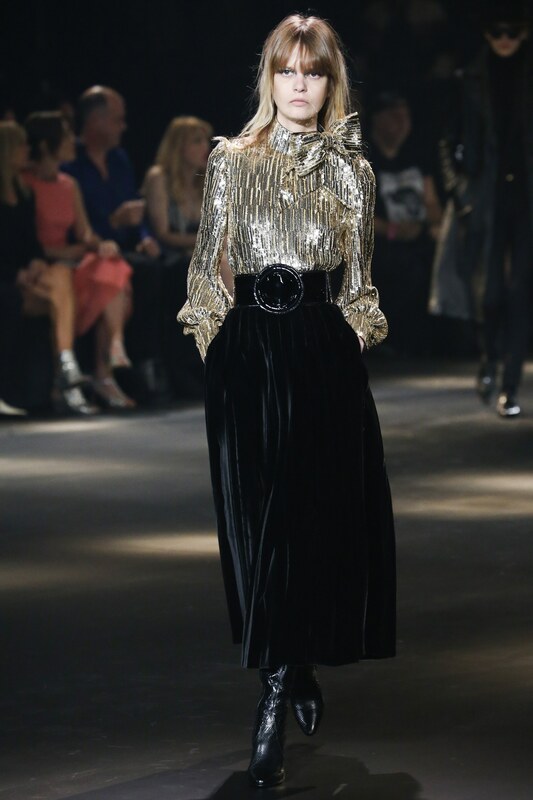 The flashy exuberant dash back to the 80's exemplified by Hedi Slimane's ultimate collection for Saint Laurent may have been beyond the pale for the more conservative fashionista. 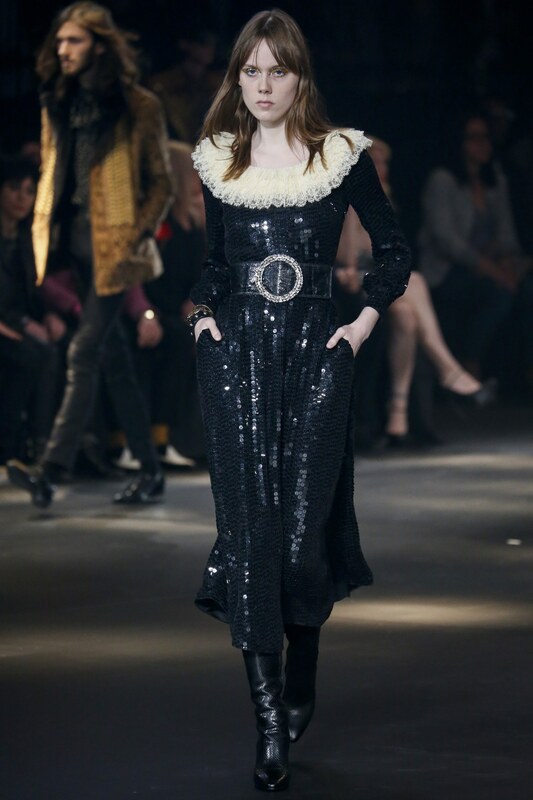 Personally, I would never go near a sequined mini unless it could morph into a fabulous TUNIC. However, I was mesmerized by the spectacle of it all. And who amongst us of a certain age didn't find themselves swept into the drama of the Carringtons and Colbys? I mean, Linda Evans and Joan Collins for crying out loud! This was entertaining stuff. 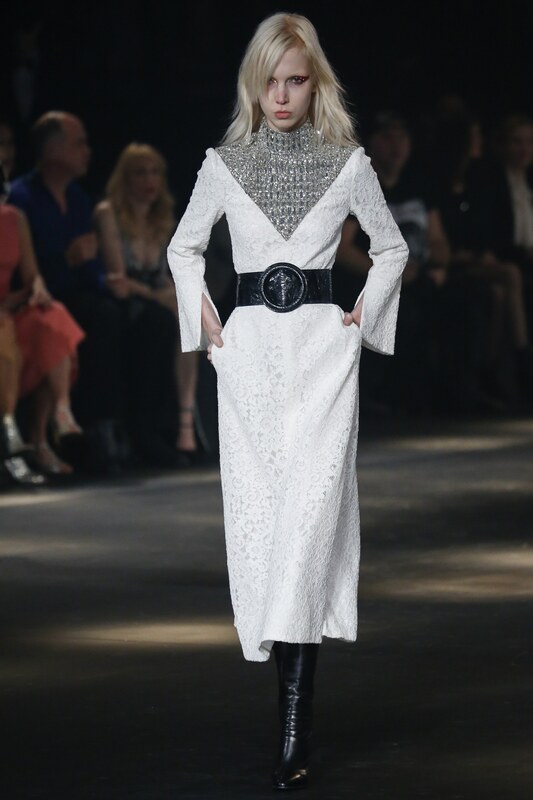 Add some capacious shoulders and a boat load of sequins, and it was a glamour tour de force. 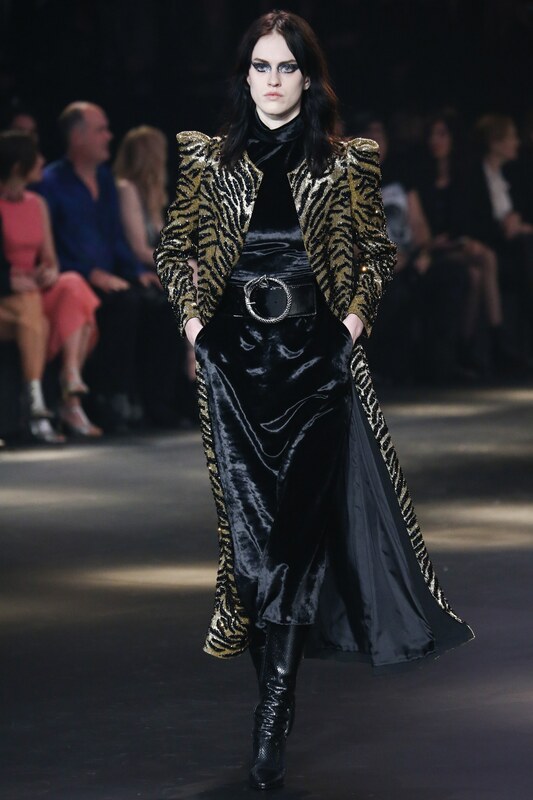 And these days, fashion is all about traveling back in time, typically to the mod 60's or the rock 'n roll and flower power 70's, so why not a brief foray into the ostentatious 80's? 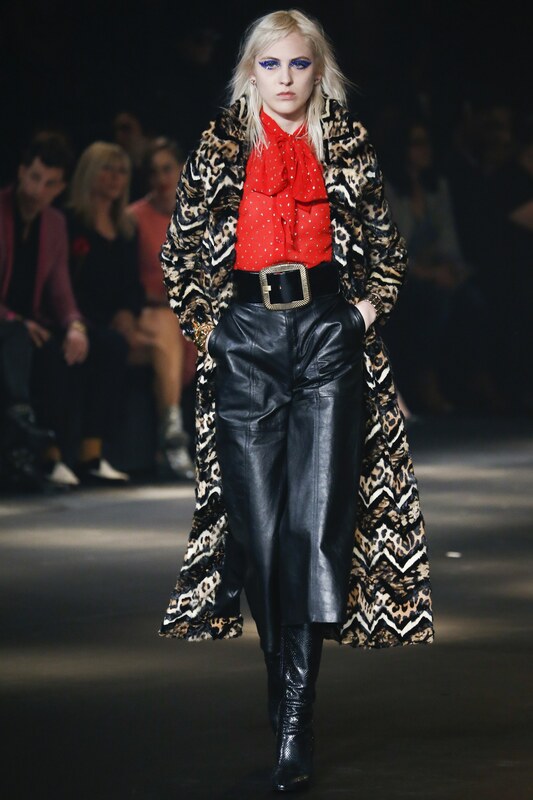 For the penultimate collection, PRE-FALL 2016, Slimane applied his glam rock aesthetic to favorite silhouettes from the 70's and in so doing created an homage of sorts to the grand master himself, Yves Saint Laurent. 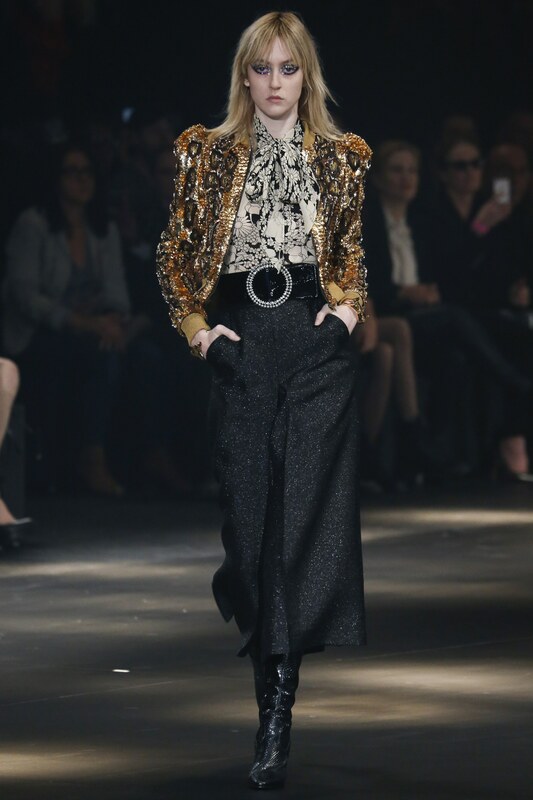 The culottes, bold wide belts and midi skirts and dresses harkened back to the days of easy wearable transcontinental glamour. 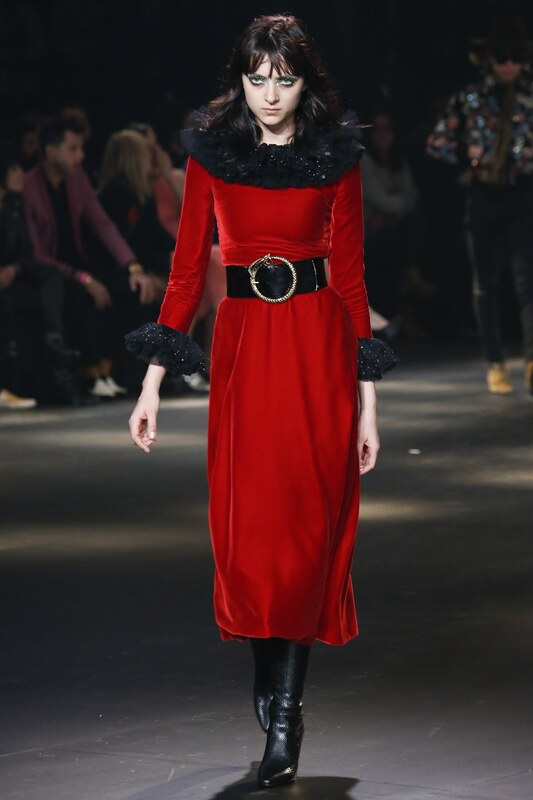 The exquisite embellishing of frocks and jackets ratcheted up the wow factor above and beyond the typical pre fall collection and added to the magnetism and allure of the assembly. 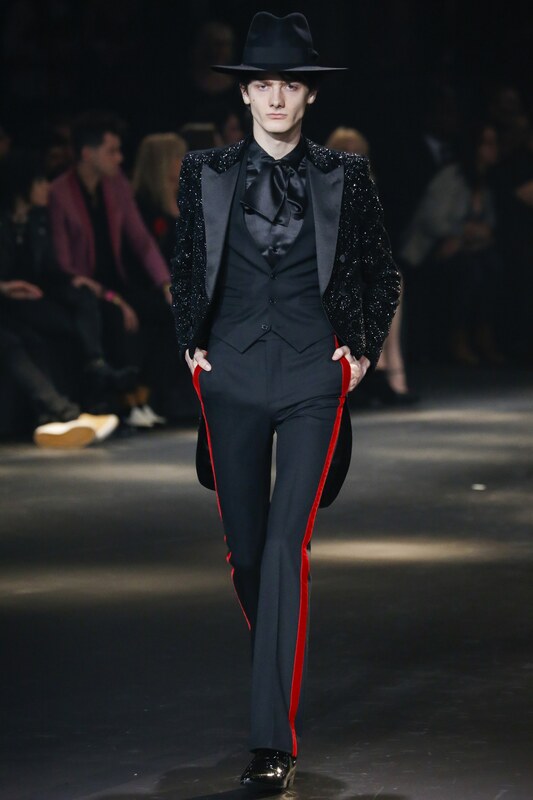 The clothes were at once hip, sleek, and luscious, with an opulent streak throughout, a la YSL. 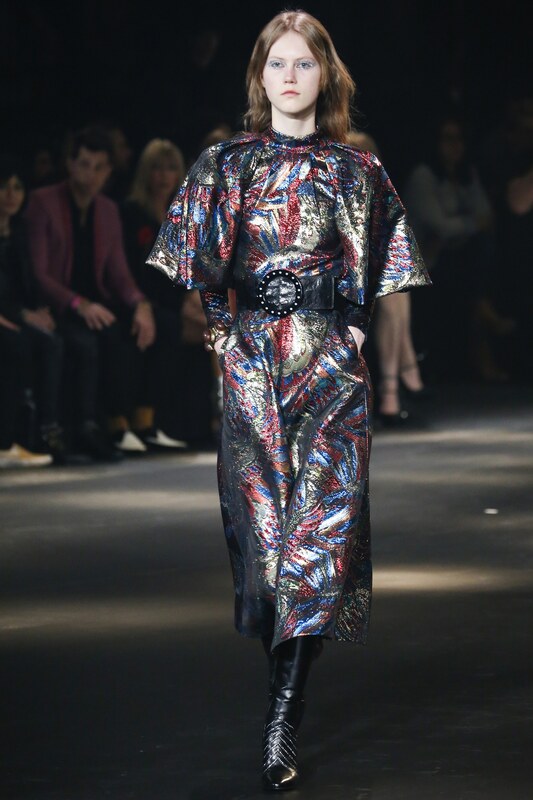 Menswear was seamlessly enmeshed with the womenswear contingent and was every bit as mouthwatering and scrumptious. And when we think back to the glory days of rock 'n roll, who were the peacocks on stage? THE DUDES! Cue David Bowie, Mick Jagger, Peter Frampton, and the list goes on. 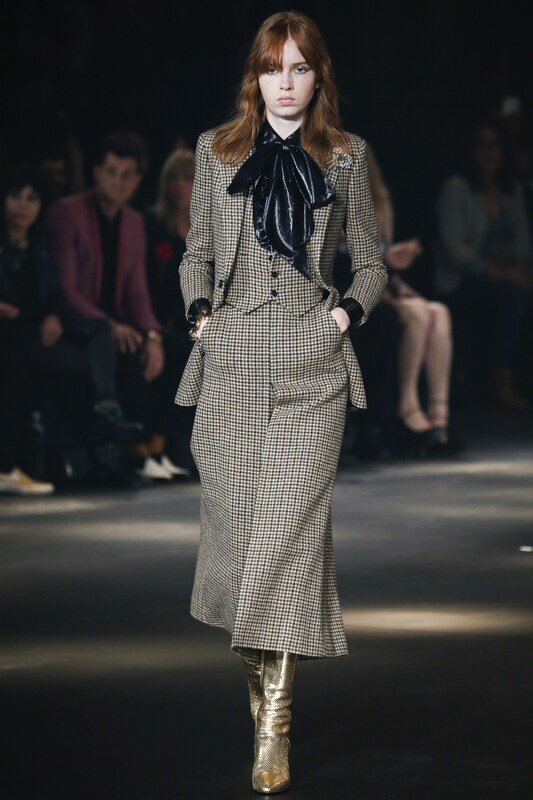 Many of the pieces were androgynous, akin to the ethos of the times, sartorial splendor to be appreciated and worn by any fashion aficionado no matter the gender. 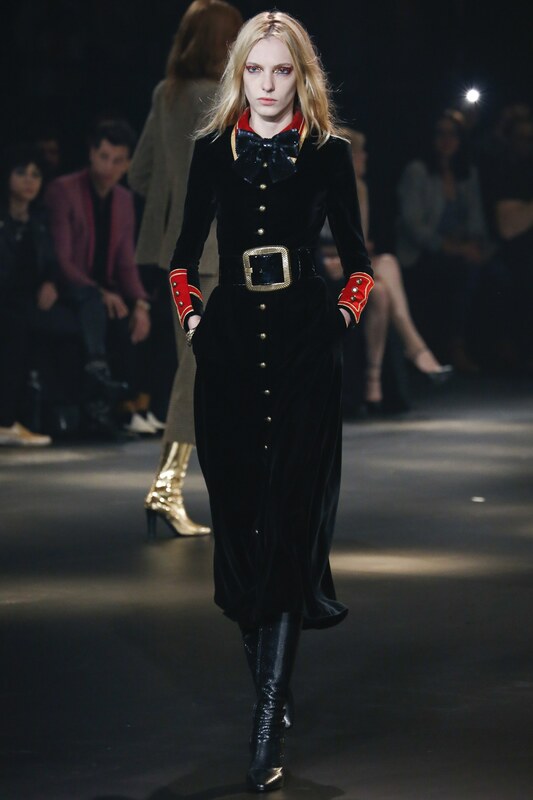 Curious versions of the military jacket and a noticeable velvet presence were striking examples of low level opulence. These were pieces that could easily take one to any upscale event OR to accompany your jeans and white poplin blouse. 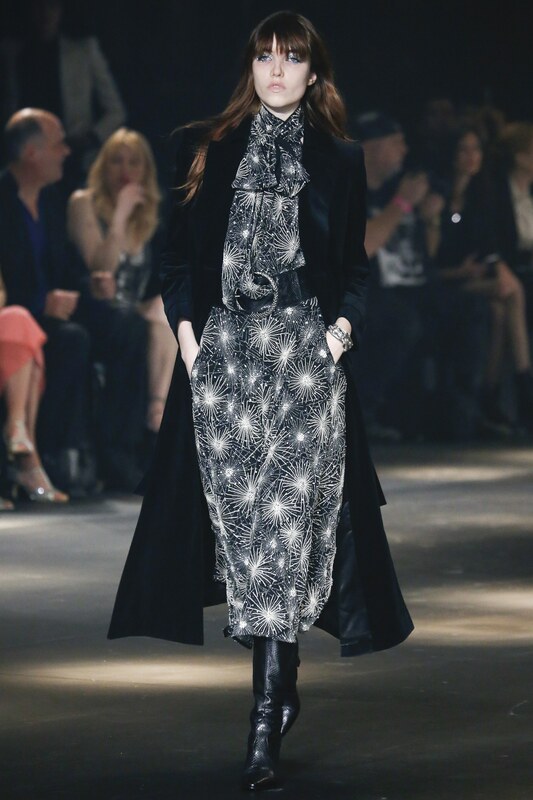 Now, a seance transporting us to the magical days of Yves Saint Laurent and Rive Gauche. 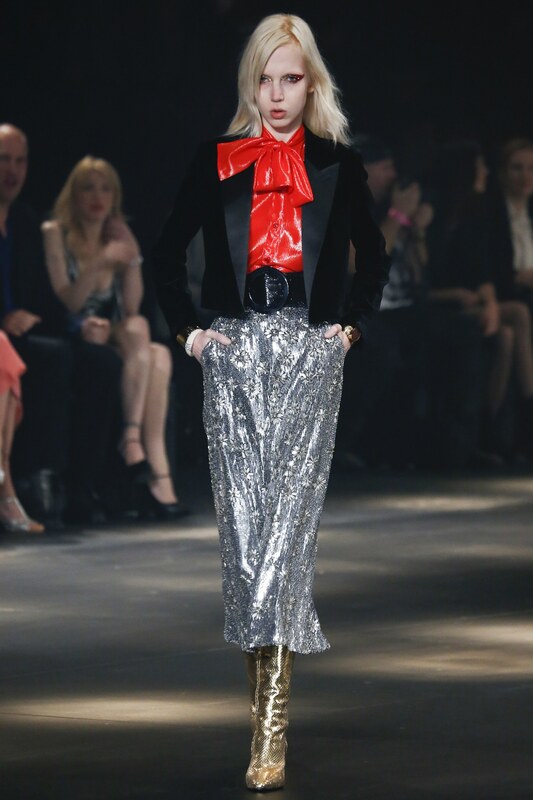 If you want to channel YVES SAINT LAURENT, any one of the pieces in this collection will oblige. Never be afraid to embrace a regal piece of meanswear. A tailor is your BEST friend! 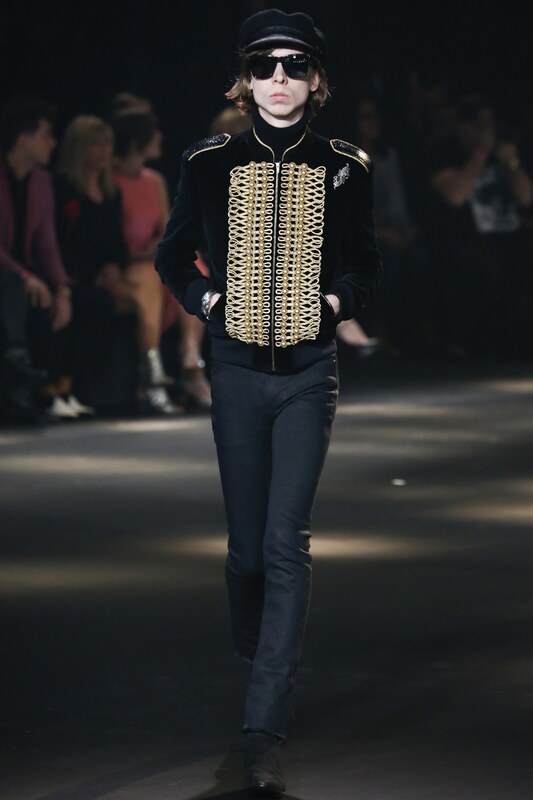 Hedi loves him some teeny tiny men models, so likely the jackets would easily fit a female frame. We all need a POP of color to brighten our ensembles, whether RED, purple, or cerulean BLUE! Mixing eras is always new and intriguing. 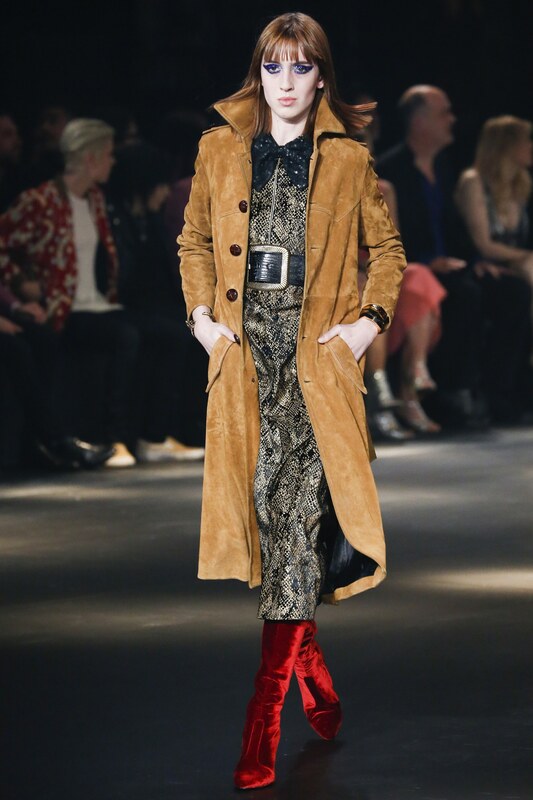 Check out the deep red VELVET boots! 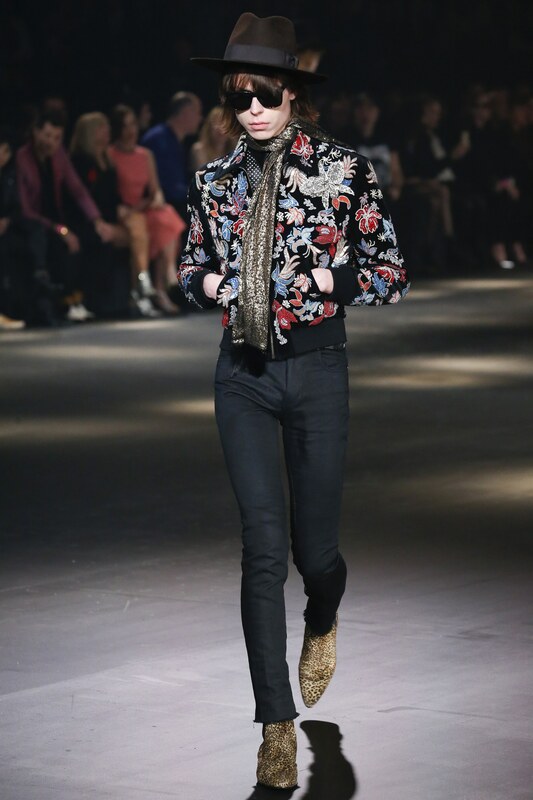 Any one of the "men's" jackets I would snap up in an instant. 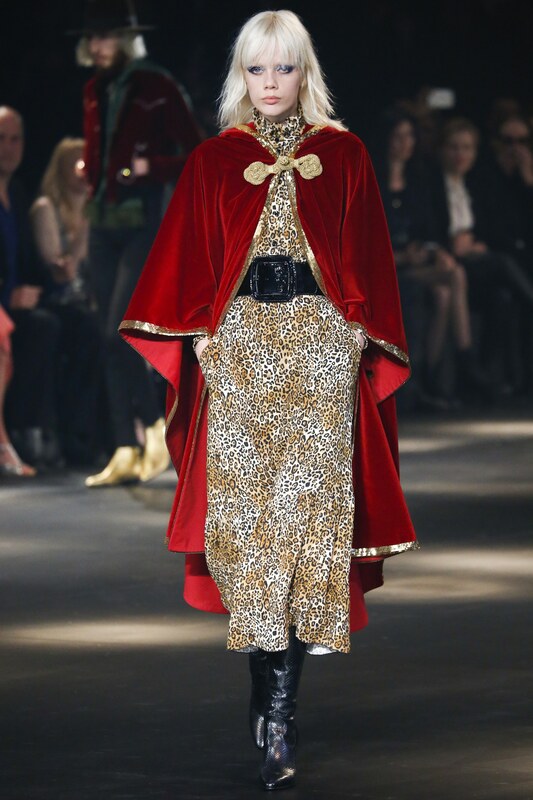 And in fact, I'm more enamored of the dandy dude wares than I am of the women's wear. 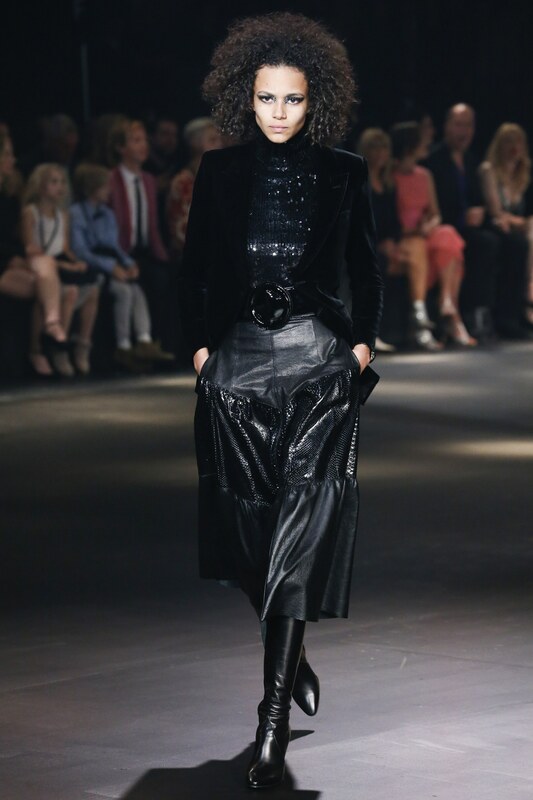 Sooooooooo G O R G E O U S. Easy pared down silhouette becomes spellbinding by the fabrication. 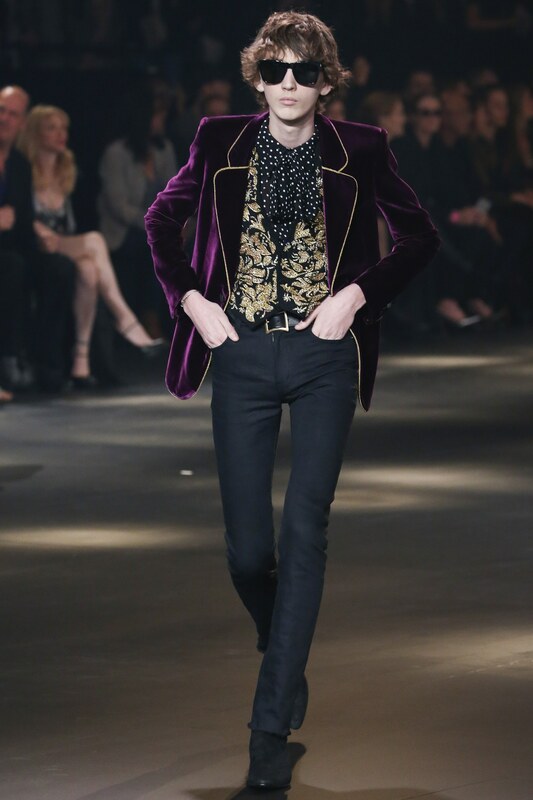 VELVET is forever. I barely know where to begin with this stellar beauty! Calling AUNTIE MAME!!!!!!! 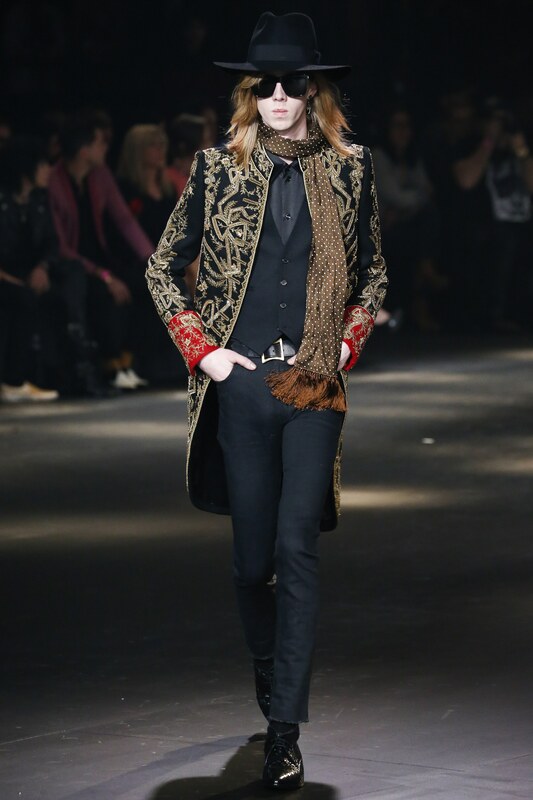 Thanks to Hedi Slimane for a mesmerizing trip back to the heyday of Yves Saint Laurent and Rive Gauche! We look forward to his next step!